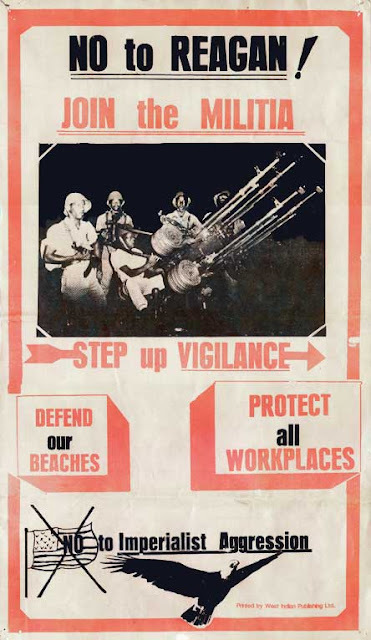 It was 33 years ago today that the New Jewel Movement seized state power on the Caribbean island of Grenada – a textbook cold war revolution, but with several elements that gave it exciting potential. 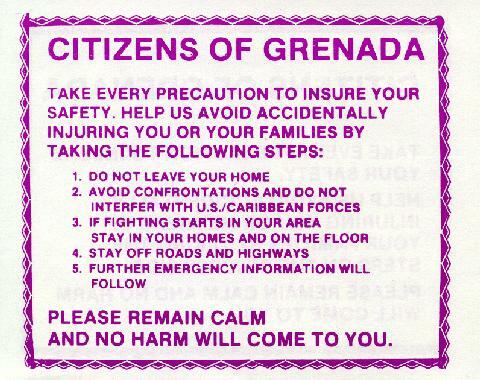 Grenada is a small island with just over 100,000 people. On this scale, socialist theorists have an opportunity to rethink collective production and ownership without the size burdens of the Soviet model. These are an English-speaking people of African decent. What happens on Grenada can be easily shared with a large African-American and pan-African audience. 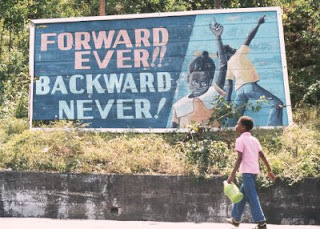 We tend to remember the Grenadian Revolution through the historical lens of its tragic demise; but, what lessons are there to be learned from all that was done right during this period? 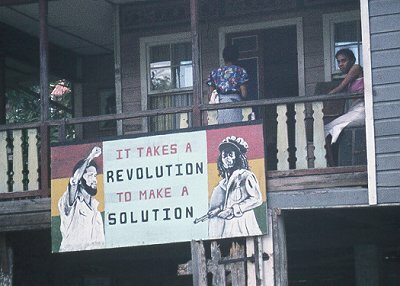 -A documentary on the Grenadian Revolution. 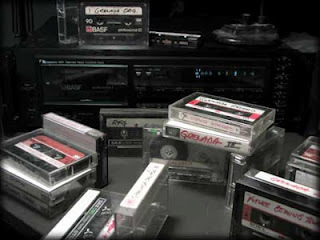 -John Douglas (one of the "Future Coming Towards Us" filmmakers) has begun digitizing some of the tapes he made while living in Grenada. -Learn the basics of the story of The Grenadian Revolution. 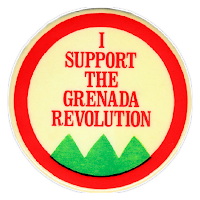 -One woman's personal account of the Grenadian Revolution, the coup and U.S. invasion. -Professor Rich Gibson's analysis of Paulo Freire's Grenadian Literacy Project. -by William Eric Perkins from Contributions in Black Studies. -An audio reminder of the historical events of March 13, 1979. -During the invasion, a U.S. paratrooper finds a box of books, pamphlets and unprocessed film in a drainage ditch. 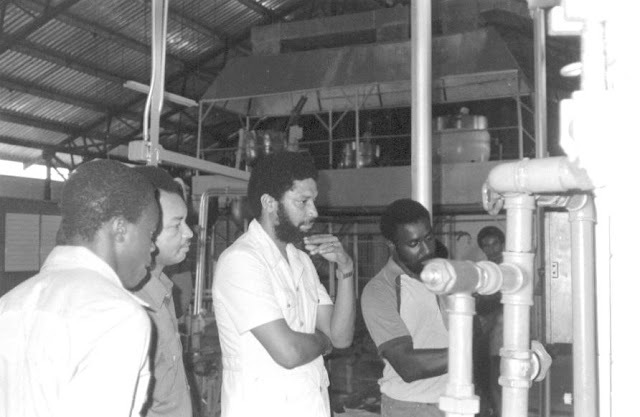 A few years later, he develops the film and is surprised to discover photos of Maurice Bishop, Unison Whitman and various scenes from the Revo years. -Sergeant Major Herbert A. Friedman (Ret.) outlines some of the Psychological Operations carried out by the U.S military during the invasion. -Post-invasion comic book put out by the CIA. -A selection from the over five tons of documents collected by US armed forces during the invasion. This collection has been edited and released by the U.S. Department of Defense, ostensibly to show the inner workings of a hostile regime arming itself against the United States. It also makes an interesting read for anti-poverty activists who wish to see some of the activities of a state-run national development plan. 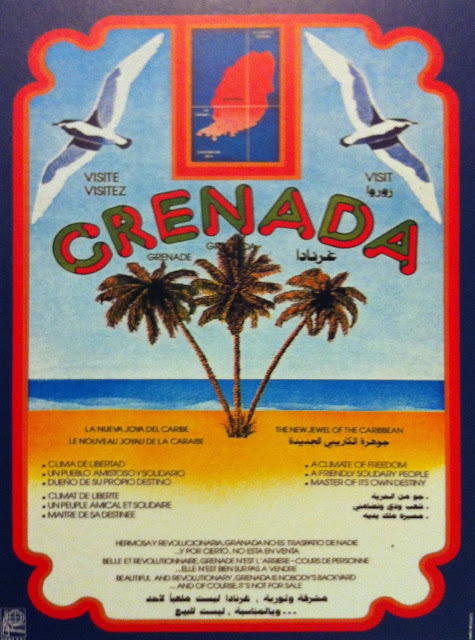 -In October 2011, the Grenada Arts Council hosted an exhibition: "The Grenada Revolution 1979-1983: Artists' Perspective."